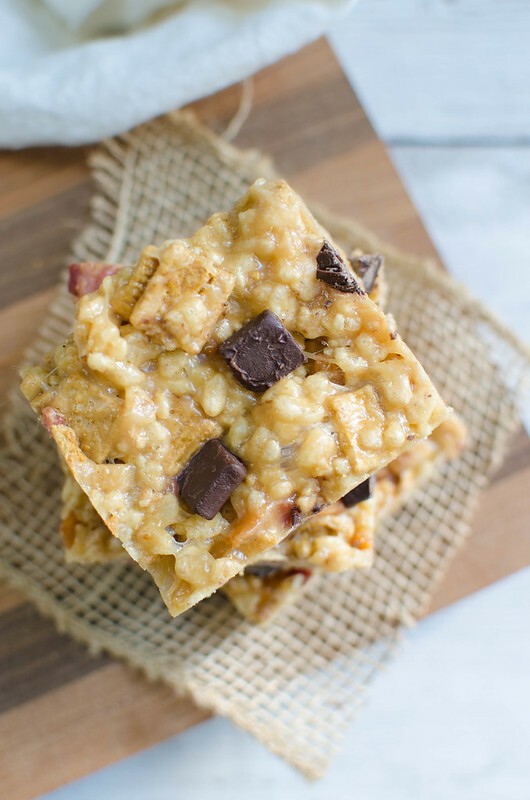 Peanut Butter Bacon S’mores Crispy Treats are the perfect mix of sweet and salty! 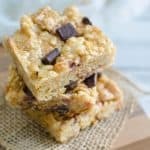 A yummy mix of crispy rice cereal and golden grahams are coated in peanut butter and melted marshmallows and then tossed with crispy bacon and chocolate chunks. There’s a lot going on in these. 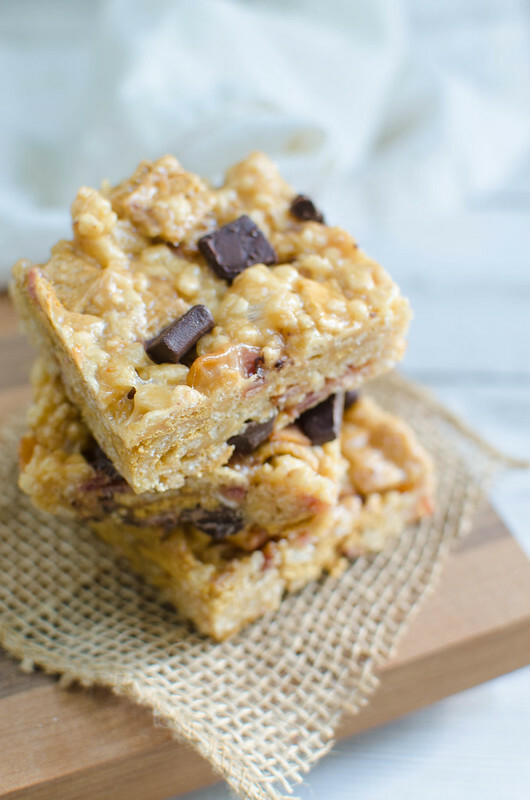 I was just going to do a regular s’mores rice krispies treat but add bacon for the sweet and salty but I love peanut butter with bacon and once that idea popped in my head, it was all I could think about. 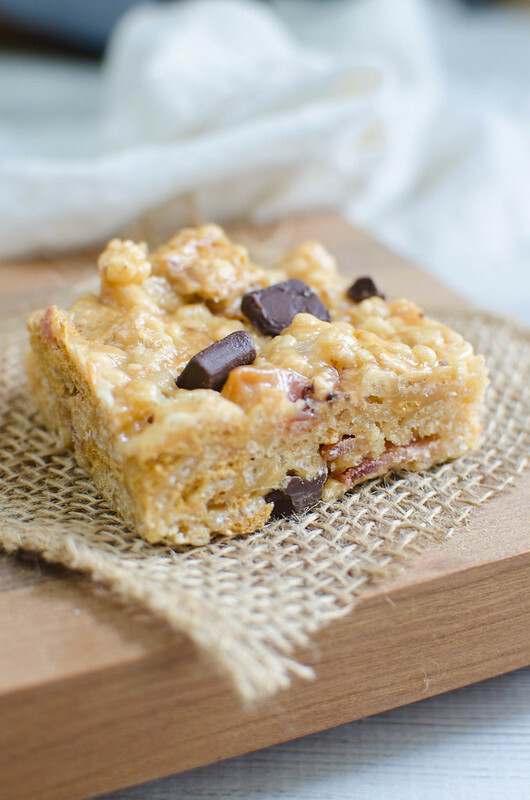 They’re no bake, of course, so they’re super easy. 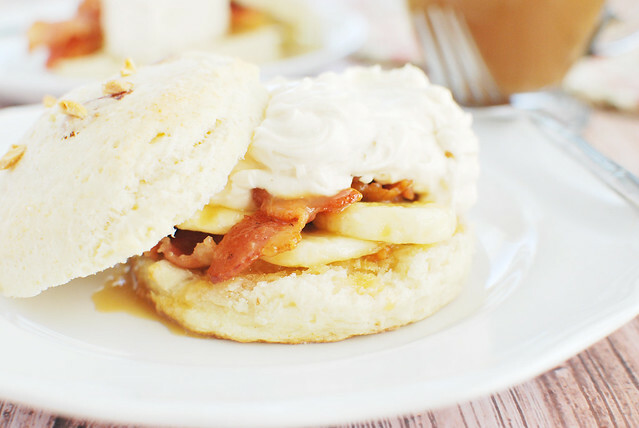 You just need to crisp up some bacon and then melt the butter, marshmallows, and peanut butter together. That’s the only cooking required. The rest is just tossing it all together and waiting for it to set. Or don’t wait. I’ve been known to take a spoon to warm rice krispies treats. Place both cereals in a large mixing bowl. In a pot over low heat, melt butter and marshmallow together until smooth. Stir in peanut butter and stir until combined. Pour over the cereal, add bacon, and toss to make everything is coated. Let cool slightly - enough so the chocolate won't melt but you still want it to be soft enough to work with. Quickly fold in most of the chocolate. 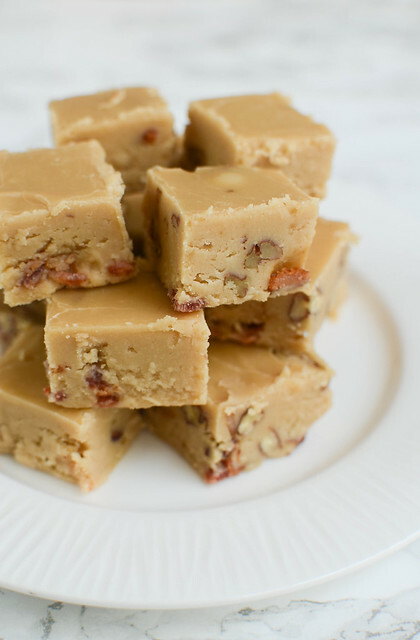 Transfer to a 8x8-inch pan and press remaning chocolate chunks into the top. Cool completely before serving. 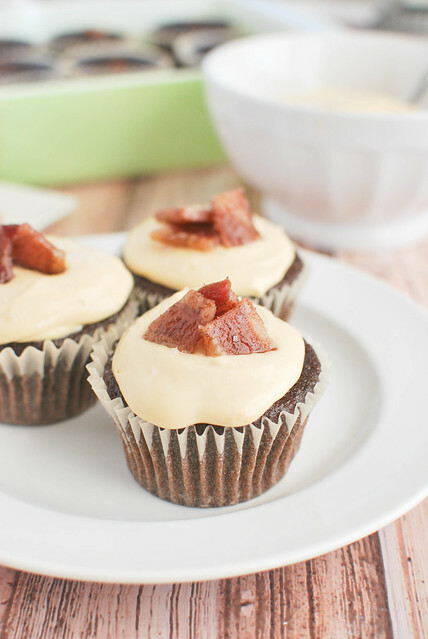 Want more sweets with bacon?